Another Curry recipe that we very much enjoyed. My initial instinct on fish curry, before I had it for the first time, was that it will be very fishy and resemble in smell and taste something of a fish sauce. 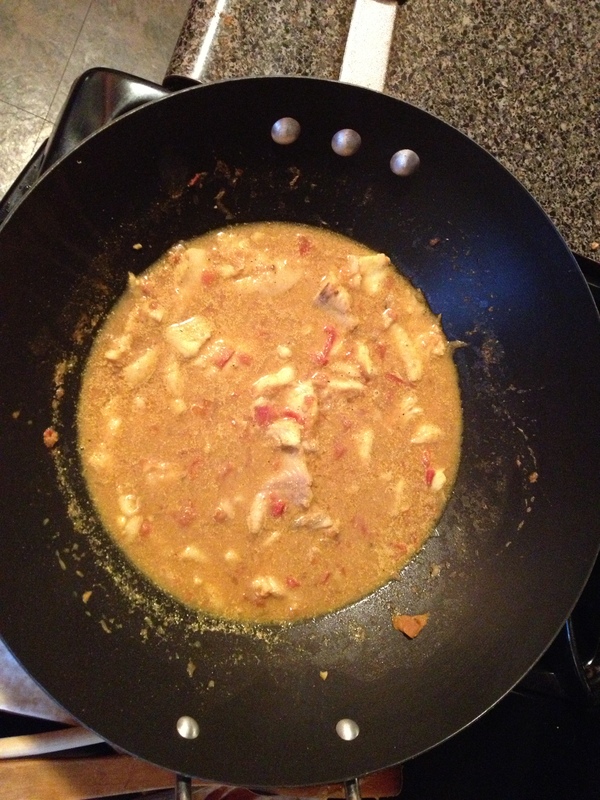 Now it has become one of my favorite curries for its taste, ;lightness and healthy nutrition factors. 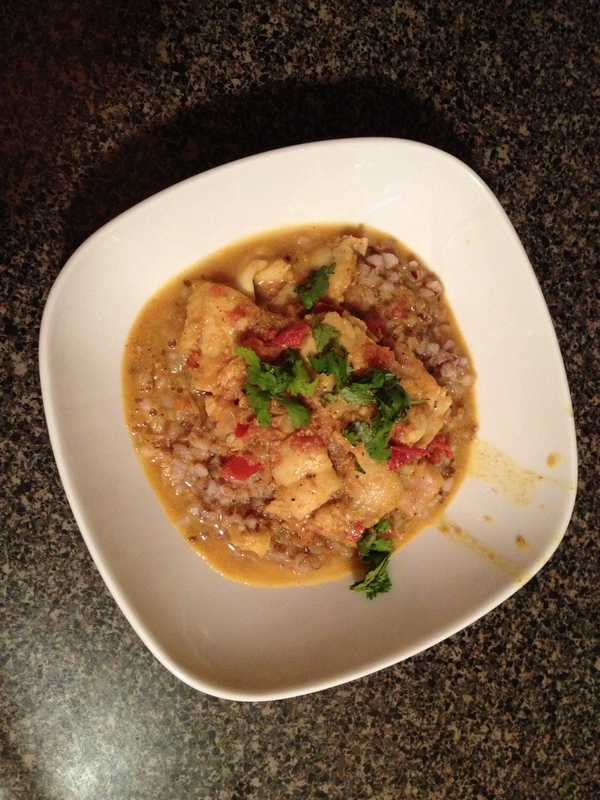 This recipe is great as it is simple to make, can be made with variety of fish and for its flavor and aroma. It allows you to eat healthy and lean while enjoying flavorful and delicious food. Use any type of firm fish fillets – salmon, swordfish, red snapper, catfish, grouper, etc. You can even add other types of seafood in this curry – shrimp, mussels would both be wonderful in addition to or in place of the fish. 5. Turn the heat to medium-high. Pour in the coconut milk and the water. 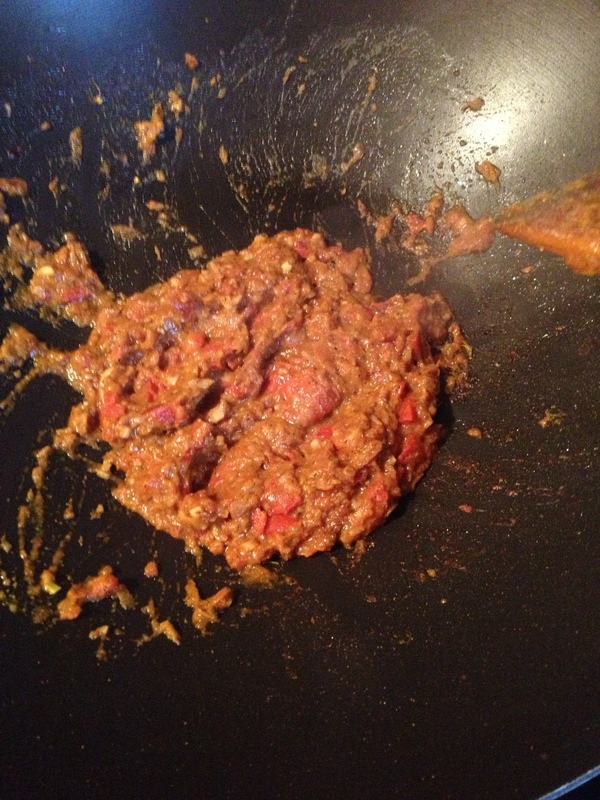 Add curry powder, turmeric powder. When the mixture comes to a good boil, add in the fish and cook for 4 minutes or so, until the fish cooked through. Enjoy it with a nice crisp beer … preferably a light lager.